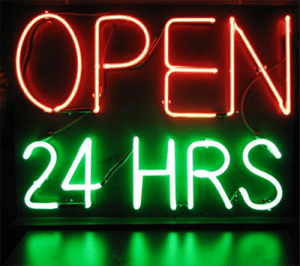 All night pokies - Which venues are open 24 hours a day? A majority of brick and mortar casinos in Australia are open 24/7, closing only on Good Friday, Christmas Day and for selected hours on ANZAC Day. While certain gaming areas like poker rooms may only operate at certain hours each day, the electronic gaming floors at casinos are always open, so punters can throw a few coins into the pokies at any hour of the day or night. Although not technically open all night, The Reef Casino in Cairns is only closed between 5AM and 9AM on weekends and 3AM and 9AM on weekdays, so if you’re located in the Far North you can also play pokies at almost any given hour. Similarly, the Wrest Point Casino in Hobart is open 9AM to 3AM weekdays, extended to 5AM on Friday and Saturday for close to all night pokies access. Each Australian state is subject to different laws regarding the opening hours of gaming rooms, with many pokies lounges operating until the early hours of the morning. Gaming hours very commonly extend beyond regular pub hours, which is why you’ll find so many pokies lounges located at the back of pubs with their own separate entrances. For a licensed venue to offer extended gaming hours, it must make an application to the relevant gambling body for approval. Although many pubs around the country keep their gaming rooms open as late as 2AM or 4AM, the casinos are the only venues licensed to operate 24 hours a day. 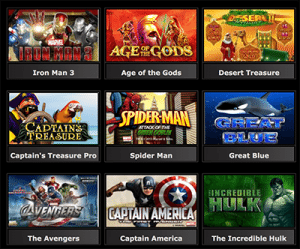 There are many reasons punters are drawn to the Internet to play real money pokies, with advantages extending beyond game variety and online bonus offers. One of the major draw cards to online pokies is games are available 24 hours seven days a week, always just a few clicks away when you feel like testing your luck. It simply doesn’t get any more convenient. While many land based Australian casinos also operate on a 24 hour basis, heading out to play at an ungodly hour realistically isn’t a viable option for a majority of punters. You may live in a rural location, or not have access to transport, or simply don’t like the idea of having to follow a dress code and drive yourself to your closest casino whenever you feel like placing a few bets. Playing online means you’re not restricted by these limitations, with hundreds of games at your fingertips whether it’s your lunch break or you’re having trouble sleeping in the middle of the night. All of the online casinos recommended here at OnlinePokieGame.com are open 24 hours a day, so punters get a wide variety of choices when it comes to choosing a late night venue. If you’re just wanting to kill some time or see what online casino games are all about, you can play online pokies for free in practice mode with no need to hand over any money. If it’s the thrill of a bet or the potential for a win you’re looking for, games can be played for real money by making an instant deposit using real currency via trusted payment methods like Visa, MasterCard, Neteller, Skrill, Paysafecard, Flexepin or bank transfers. Each of these casinos is also mobile compatible, with a selection of the most popular slot games available for play on your smartphone or tablet.